Heat Essentials has been replaced with Heat Core to prevent version confusion. 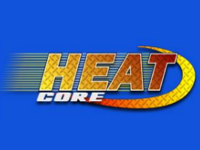 Heat Core will install NASCAR Heat to your computer including patching up through 1.80 and the NT, Windows 10 and Heat file permission fixes. This can be used over an existing installation for base file repair or to fix permission issues in all versions of Windows and the Windows 10 video error. This installation will not affect your mod's custom folders and files or remove any existing files except to replace base/core game files. NOTE: If you have a large pre-existing NASCAR Heat installation, this installer may take a few minutes to process all the files. It is provided as-is and The Mod Squad, HeatFinder and additional developers hold no responsibility for misuse. - Recompiled installer to eliminate "Setup Error! -f" issue. - Fixed missing UI elements (primarily affecting multiplayer screens) when using mods without a custom UI. - Known compatibility with Windows XP, Vista, 7, 8, 8.1, 10 (through 1809); Server 2003, 2008, 2008 R2, 2012, 2012 R2, 2016. - NASCAR Heat v1.80 with the NT and Windows 10 fixes already applied. - Resolution Changer to simplify setting resolution (be sure to have 800x600 set on the mod's in-game options page). - Installer designed to fix common file permission issues related to the latest Windows versions. - Ability to fix existing installs without removing existing mod and track files. - Includes 3 tracks and a demo mod created by DaveO & The Mod Squad for game testing purposes. - Game is fully functional at first install. - Compatibility with a minimum of Windows XP, Vista, 7, 8, 8.1, 10, Server 2003, 2008, 2008 R2, 2012, 2012 R2.